Happy Fall! I look forward to October all year long. It brings anticipation of the holiday season, feeling the weather click over (goodbye humidity!) and watching the leaves turn into a vibrant rainbow of warm colors. But more importantly it’s Member Month! If you have considered becoming a member (or need to renew), this is a great time to make it happen. Anyone who joins or renews gets a 10% discount and entry into a drawing for an all-access pass to the IABC Academy. Current members you can get in on member month too! Anyone you refer to join OR renew gets you in on some great perks. Check out the details here. What else am I looking forward to? IABC’s plans for the season…and all things pumpkin spice : ) Mark your calendars! November 7 – Communicator’s Summit. 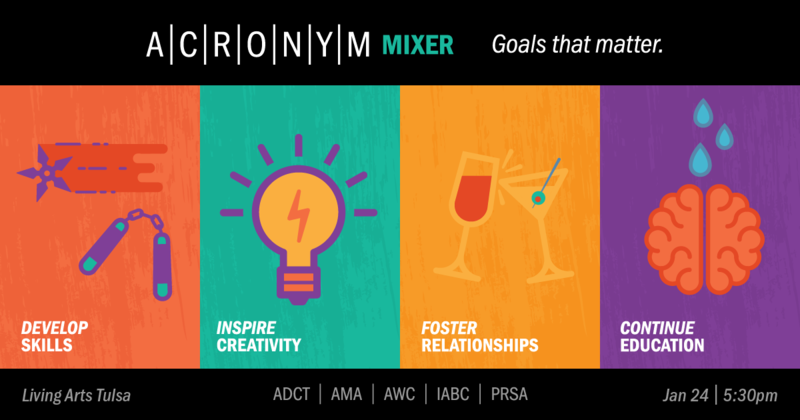 We are thrilled to partner with PRSA and, new this year, AMA. Lots of networking and insights from speakers across the communications, marketing and PR value chain. Deadline to register is October 26. December 6 – Gift of Communication. The event supports local non-profits with any and all communication guidance they need. Volunteers (you) help these organizations develop strategies to support their goals. This working session is an amazing way to give back and broaden your strategic communication skills. Join us from 8:30 a.m. to 12 p.m. for breakfast and giving back. If you would like to volunteer, please email me. Anytime – Leadership development. The board is always looking for volunteers to support our programs and members. This is a great way to work on your leadership skills. There are opportunities for every level and time commitment. Reach out to any IABC Tulsa board member for more information. Look forward to seeing you at the Communicator’s Summit. Until then, savor the season. Regardless of your career stage, IABC membership expands on your ability to deliver a higher standard of professional communication. IABC membership allows you to stay on top of business communication trends and critical developments. This expands your ability to ensure your organization’s voice remains relevant, informed and proactive. Membership in IABC helps you increase the effectiveness of your business communication to expand the impact you have on your organization’s business results. Expand your impact by expanding your access to business-building ideas and best practices through peer-to-peer networking, engagement and knowledge sharing among a global community of communication professionals. How can we sweeten the pot? Referrals: All members who refer 4 or more new/reinstating members during October receive a year of free IABC membership. The member who refers the most members during October will receive a free year subscription to Leaderbox ($790 value) and a feature in an IABC Digest email. All members who refer will be recognized on the IABC website. Marketing professionals, crisis managers, writers, designers, brand managers, employee engagement experts … as communicators, these are just some of the many hats we wear as we prepare organizations to respond to challenges, both internally and externally. That’s why we’re not just PR or marketing or crisis communicators. Organizations look to us to be leaders in all areas of communications, and Communicators Summit is where we come together to meet, learn and grow in our professions. This year’s summit will bring together experts from across the country, representing various industries to discuss current trends, technology and strategies to help you engage with your audience and drive business results. There is guaranteed to be something for every skill level – from the newbie just joining the profession and building a network to the seasoned pro looking to keep up with the latest trends. Morning Keynote: Joy Dyer, OKC Thunder Moments Matter! Why do you love your job? At ONE Gas, I love that no one day is ever the same. There has never been a more exciting time to be a professional communicator. There are so many things to learn and so many ways to accomplish a goal – the sky really is the limit. I love that technology and strategy always seem to meet somewhere in my communications plan and is then up to us to creatively implement. My role in the studio is an opportunity to learn and be involved in an up-and-coming medium that I believe is going to drive the future of marketing – online streaming. How long have you been a member of IABC? I have been involved in IABC for more than 10 years, but officially became a member in 2010. Why are you a member of IABC? As a communicator, you need a group of people who understand what it’s like to be you. We all work in different industries, but the field of communication is universal. You need the energy, the assurance and the confidence from people who truly want to lift you up and make you better. What is the best IABC meeting/conference you have attended? Why? It’s hard to pick just one, but I’ve been to World Conference twice – once in San Diego and once in NYC – both of those were amazing. You get the chance to meet professionals from across the globe who are all working to overcome the same challenges and that is very powerful. How has IABC played a part in your professional development? I’ve had so many development opportunities with IABC. 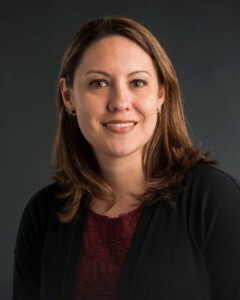 I’ve spent most of my career working in a business environment, and this organization has given me the tools and resources to think of myself not only as a communications professional, but as a business professional. What is your favorite thing to do outside of work? I’m a shy introvert in real life (shocking, right?). Nothing thrills me more than to be at home with my boys with no agenda. I get to take off so many of the other hats I wear and focus on my most important job – being a wife and mom. What’s your favorite vacation spot? Vegas! Who is your favorite musical artist? I was raised in the late 90s and never really left. There’s something about Maynard Keenan that never gets old for me. I’ve seen Tool and A Perfect Circle both right here in Tulsa, and yes, I wore flannel. Which website or app do you visit daily? Instagram, the Skimm and News on 6 (I can’t seem to get enough of their mobile alerts). What is your favorite restaurant? El Guapo. Complete the following: The future of the field of communications is…on fire! We are going to teach entire industries how to navigate the future. I’m not saying it won’t be hard, but it will be an adventure like no other in history. What’s not to be excited about? What advice would you give to new communications professionals? Be open to learn ANYTHING. Early in my career, I had a lot of opportunities because I was comfortable volunteering for work. My favorite quote is attributed to Thomas Edison, “Opportunity is missed by most because it’s dressed in overalls and looks like work.” Be willing to say, “I’ll do that,” and do it. Learn the new software, take the beat no one else wants, get your hands dirty and always look for ways to contribute. Congratulations to our Silver Quill Winners! Congratulations to IABC/Tulsa’s winners of the 2018 IABC Southern Region Silver Quill Awards. These will be announced on October 18 at the IABC Southern Region Awards Luncheon during the connect18 Conference in Nashville. Have you entered or won a Bronze Quill? Are you curious what communications programs and strategies other professionals employ at their businesses? Do you want another way to engage with our chapter but don’t have a lot of time? If you answered yes to any of these questions, consider joining the Judges Circle. This new group will be responsible for helping evaluate other chapters’ local awards programs – and in return, they help judge our Bronze Quill awards. Whether you’re able to judge one or many entries throughout the year, your help is always appreciated. Plus, becoming an evaluator is a great way to improve your award entries and enhance your own strategic communication skills while finding new and interesting ways to approach communication challenges at your company. Whether you want to gain new ideas, get involved with the chapter through a low-time commitment or just improve your Bronze Quill entries (which is opening soon), consider joining and judging! For more information or to join the Judges Circle, email awards@iabctulsa.com. IABC Certification Coming to Oklahoma Soon! 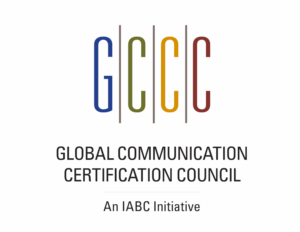 IABC is bringing the CMP (Communication Management Professional) and SCMP (Senior Communication Management Professional) certification exams to Oklahoma next spring. Here’s what you need to know. Also, the IABC Foundation has created the Gift of Excellence program, which is providing scholarships for certification fees. Details can be found here: Gift of Excellence Certification Grant. Send a shout out to these members celebrating anniversaries in October. 2019 Bronze Quill Now Open!